HackerYou offers Toronto‘s best full- and part-time courses for people who want to learn to code. 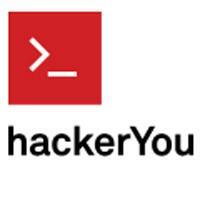 HackerYou is ideal for people looking to climb the corporate ladder, upgrade their skills, or start a new career. The program focuses on hands-on, project-based learning from industry-leading professionals with small classes and a 10:1 ratio of students to instructors. Most part-time courses run for 6 weeks and are either offered in the evenings twice a week, or once a week on weekends. The Full-Stack Masterclass runs for 9 weeks.